Nebraska knife owning laws are different from the other states. There is no specific knife illegal to own but there are restrictions for some individuals owning knives. Concealing issues with particular blade sizes are important here also. There are other rules and regulations according to the knife laws in Nebraska. So, to know the laws thoroughly, this article may help you with the ideas. Anyone who knowingly and unlawfully violates the “domestic violence protection order”. According to the Nebraska knife laws, the term “fugitive from justice” means if anyone flees from a peace officer to avoid a prosecution for a felony against him. “Nebraska Revised Statutes Chapter 28. Crimes and Punishments § 28-1201. Terms, defined” defines all the terms. Other than those individuals in particular situations, there is no restriction for anyone owning any knives including the deadly ones. So, you can also own a knife in Nebraska unless you are one of the listed above. Nebraska emphasizes on the knife concealing issue the most. Also, you should know what the open carry laws say. In Nebraska, anyone can carry openly any legal knives. But one cannot open carry any knives or other deadly weapons in some particular places such as schools, courts, government buildings, private properties and places where only authentic people are allowed to carry one if permitted. Carrying concealed weapons such as knives, brass knuckles or metal/iron knuckles and other deadly or dangerous weapons are illegal and offensive. “Nebraska Revised Statutes Chapter 28. Crimes and Punishments § 28-1202. Carrying concealed weapon; penalty; affirmative defense” describes the concealed carry laws with the defense, punishment, and exceptions. The section 28-1201 has explained the terms with detailed definitions. Such as the knives and brass knuckles or iron knuckles are also been described here. 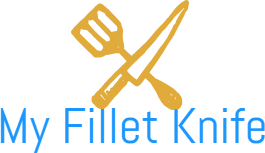 According to this section of the laws, knives include dirks, daggers, and stilettos having the blade length more than three and one-half inches and any other dangerous weapons or instruments that can injure anybody easily. Knuckles and iron/brass knuckles are those instruments that are specially made to be enclosed with the Fist to cause serious injury to people and even death. If anyone violates the concealed carry law of knives, it will be a Class I misdemeanor. But if anyone is being convicted under this section for the second time or more in a row, then it will be a Class IV felony for carrying concealed weapons. 28-1202: Penalty– “(3) Carrying a concealed weapon is a Class I misdemeanor. If you are charged already for carrying a concealed weapon which is illegal anyway, there is still a chance to prove yourself not guilty. There are some situations for which you can defend yourself in that case. If you were engaged in any kind of lawful or authentic business, calling or employment and you had to carry dangerous weapons or other weapons for those purposes. If you were carrying any weapons in a case for the self-defense of your own or your property or your family. For the reasons stated below, you can defend yourself showing proofs about that. But if you were intentionally carrying knives for attempting any crime or your approach was so, you might not defend yourself easily. You need to face the trial then must. But, it is better you still be careful while carrying knives concealed unless it fulfills the requirements explained above. Otherwise, this won’t help you. There is an exception for only carrying concealed the handgun. But this won’t be applied to the knife concealing issue. If anyone has a valid permit issued for the handgun, then he/she does not have to go through the laws explained above which means, carrying concealed handguns won’t be illegal for those who have legal permission for those. And this is applicable only for the handguns, I repeat. According to Nebraska, knives with the blade length size of three and one-half inches are the ideal sizes for any sort of knives. Over this blade length, knives are considered as the dangerous ones and presumed as causing injury to anybody. So, it is better to carry knives less than three and one-half inches for your own safety. 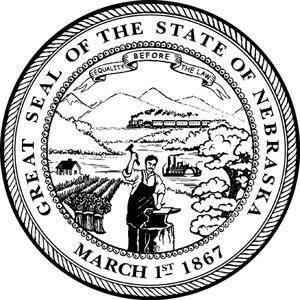 Nebraska knife laws do not allow any students or anyone carrying or possessing any knives or other weapons on the school grounds, campuses, school buildings or other places regarding any schools. This is totally unlawful if anyone knowingly possesses or carries one and is immediately punishable under the Nebraska statutes. But, there is some authentic personnel who can carry or possess knives or weapons on school premises with the legal permissions. They are the exceptions. It is mentioned at the beginning that, there is no specific knife illegal to own in Nebraska except for some restricted persons. Switchblades, gravity knives, and other automatic knives. Nebraska is a friendly state for the knife-owners. Knife concealing is a very important factor here like the most other states. You would not carry any knife concealed for no reason, would you? So, in these cases, you need to be little more cautious. Nebraska is also strict for the blade length size of the knives which differentiates a dangerous knife so far. The knife laws in Nebraska are not that broad and critical to be understood. Just some few things are needed to be remembered if you do not want any problem at all.